This is a perpetual award created by Gaudio for the Royal Mail Operations Fundraising Challenge. 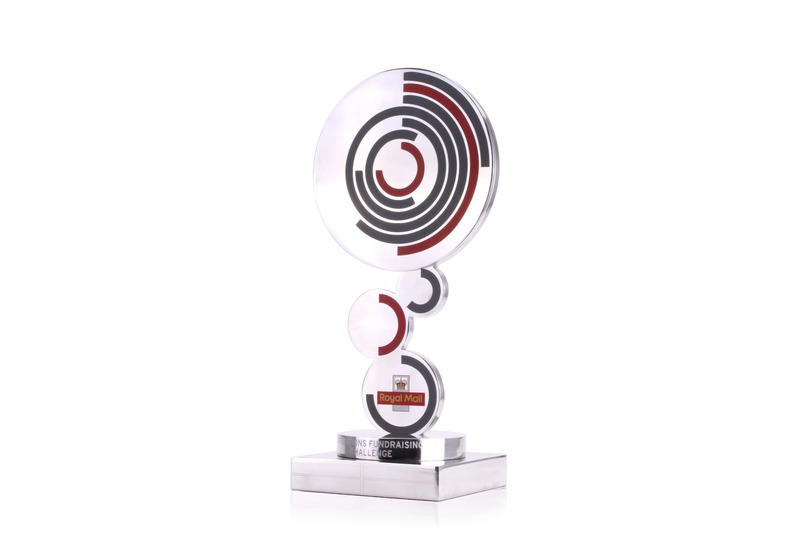 A perpetual award will last many years as an iconic feature of your event. Perpetual awards typically include space for multiple engraving plates. Gaudio will send each engraving plate straight to you in time for the event. This award stands on a tiered base with an aluminium top. We use high-quality alloys, and polish our awards in-house. Printed straight onto the aluminium is both the branded detail and a crystal-clear logo. We use UV-printing technology for colour-matched printing, which then dries instantly. This is an undoubtedly impressive award, and will honour the fundraising challenge for many years to come.